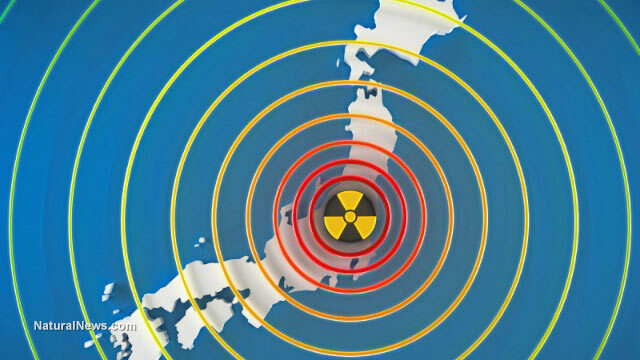 (NaturalNews) Japanese police are investigating after a drone seemingly contaminated with radioactive cesium was discovered on the roof of the prime minister's office on April 22. A man has turned himself in, claiming he landed the drone as a protest against Japan's nuclear energy policy. In 2011, a massive earthquake and tsunami triggered multiple meltdowns at the Fukushima Daiichi nuclear power plant. The disaster reignited anti-nuclear sentiment in Japan, and an estimated 80 percent of the population now considers themselves "anti-nuclear." Following the disaster, Japan took all of its nuclear power plants offline. In recent months, however, the country has taken major steps toward restarting the industry. The drone was discovered on April 22 by an official taking new hires on a tour of the prime minister's office. Police were called to investigate the 50-centimeter (20-inch) drone, which was powered by four propellers and found to be carrying a small camera and a plastic bottle bearing the international symbol for radiation. The rooftop near the drone tested positive for traces of radioactive cesium at levels not considered dangerous to humans. Radioactive cesium occurs only as a result of human activities. Large quantities were emitted by the Fukushima disaster. There were no injuries caused by the incident. Prime Minister Shinzo Abe was on a visit to Indonesia when the drone was discovered. Two days later, 40-year-old Yasuo Yamamoto turned himself in to the Fukui prefectural police in western Japan, taking credit for the incident. Police arrested him on suspicion of obstructing the duties at the Prime Minister's office, but they have not yet decided whether to formally charge him with any crime. It does not appear that piloting the drone itself broke any Japanese laws or regulations. Yamamoto told reporters that he piloted the drone as a protest against the government's nuclear energy policy. He said he filled the plastic bottle with sand collected from near the Fukushima plant. Fukui, where Yamamoto turned himself in, holds roughly 25 percent of Japan's 48 nuclear reactors. The nuclear plants taken offline after Fukushima are currently undergoing safety reviews. They are supposed to pass tests proving them safe against earthquakes and tsunamis before they can be restarted. Abe has made bringing these plants online a major priority, but his plans have faced serious opposition from locals and civil society groups. On the same day the drone was discovered, the Kagoshima district court in southwest Japan rejected local residents' requests for an injunction to block the restart of two reactors at Sendai nuclear power plant. The residents had claimed that regulators and plant operator Kyushu Electric Power Company (Kepco) had downplayed the risk of eruptions from nearby volcanoes and had exaggerated their ability to predict such eruptions. There are "no grounds for Kepco's assertion that the probability of a [volcanic] eruption is low," the plaintiffs charged. They also called Kepco's evacuation plans insufficient. The court's decision leaves Kepco with just one more regulatory hurdle before Sendai can be restarted. The head lawyer for the plaintiffs, Hiroyuki Kawai, called the ruling "extremely regrettable." "We will not give in, we will continue fighting. We will not let our emotions be swayed by any short-term results and we will fight until we get rid of all nuclear reactors in Japan," he said. A week earlier, a separate court blocked the planned restart of two reactors at the Takahama nuclear power plant, agreeing with residents that safety concerns with the coastal plant had not been properly addressed.